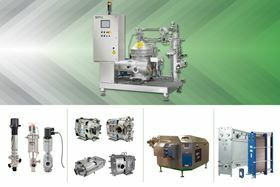 A Seital separator and other SPX Flow products. SPX Flow has a new service partner in Victoria, Australia: FDPI Spares & Maintenance. Family-owned FDPI is a growing business with expertise in liquid processes within the dairy, food and beverage industries. FDPI offers service expertise on heat exchangers, separators, homogenisers, pumps and valves with 24/7 accessibility. The new partnership will complement SPX Flow’s existing service coverage and enhance service response times. FDPI engineers will be fully trained and certified to provide service on key SPX Flow equipment brands including APV®, Waukesha Cherry-Burrell® and Seital® Separators. Original SPX Flow spares parts will be provided.